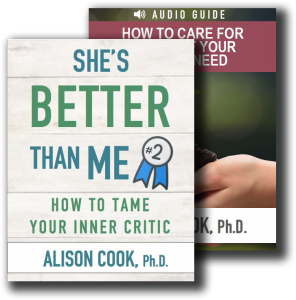 When Pleasing Becomes a Drug - Alison Cook, Ph.D.
Pleasing is a drug that can be lethal not only to your friendships but also to yourself and to your relationship with God. Jesus said, “No one can serve two masters. Either you will hate the one and love the other, or you will be devoted to the one and despise the other” (Matthew 6:24). Jesus was talking about money. But the same principle holds true for those of us with a propensity to please. For years, I thought I was being a good Christian woman by working overtime to meet every need that presented itself to me. I didn’t even realize I was doing it – my habit of people-pleasing operated outside of my conscious awareness. And then one day, I started noticing that I was battling inside between my desire to please others, and my desire to please God! The irony in that bit of awareness stopped me in my tracks and led me on a deep dive to understand. I wanted the people around me to be happy – this was a genuine desire. But I had started to put my need to please above my deepest desire to follow God. I knew I had to change. And so to break this vicious internal cycle, I had to become more aware of my instinct to please and how that instinct sometimes went against God’s best for me – and against what he truly wanted for those I was hell-bent on trying to please. How do you know when your pleasing instinct is on overdrive? You can’t bear the thought of letting someone down, even when you know it’s the “no” God is calling you to say. You start feeling resentful of the very people you’re working overtime to please. You tell white lies to ward off an angry reaction. An unhealthy habit of pleasing is an indication that some part of you is addicted to the rush of feeling loved. . . needed. . . useful. So, in order to change, you first have to get to that root. What fears do you have deep inside if you were to shift from pleasing others to heeding God’s voice instead? Awareness is the first step toward growth and change. Get honest with yourself. Acknowledge those fears t God, and then prayerfully work with that pleasing instinct to take baby steps toward change. How do you begin to set healthy boundaries with your pleasing instinct? Honor the part of you that doesn’t want to say no. It’s a vulnerable part of you that likely doesn’t want to disappoint, fears an angry reaction, or just genuinely wants always to help. Let that part of you know that you get it. And that God is bigger and far more capable than you to step in when you cannot. By reigning in your own tendency to please, you might be creating space for God to do what you cannot. Tell the truth. Don’t lie or make disingenuous excuses. That’s feeding your pleasing instinct. Write a script for yourself that is honest; “I’m sorry, I can’t help you with that.” And if you don’t trust yourself to say your “no” in person, give yourself permission to write it in an email. You’ll get better at it over time! Ask for help. Identify a few key people who know your instinct to please. Ask them to help you when the no you have to say feels impossible! As you work on setting gentle boundaries with your tendency to please, notice what you feel inside. For example, you might notice an onslaught of guilt or fear. Don’t let those uncomfortable feelings sway you – their presence means you’re in a space of change. And stay tuned for more on how to identify false guilt from true guilt. Remember, prayer knows no boundaries. Even if you can’t meet that particular need today, you can always pray.